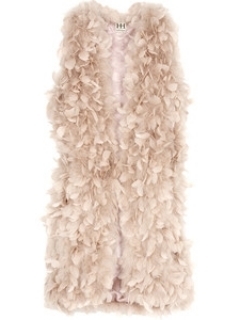 Feather Style Trend Tips 2010. 'Birds of a feather flock together' therefore no wonder that fashion designers allied to promote the brand new design techniques that would immediately perk up our chic wardrobe. 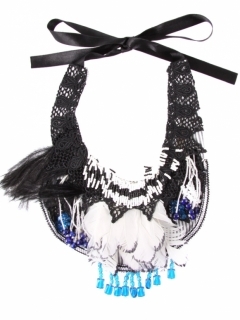 The feather style trend tips 2010 would furnish you with all the must have info on how to ride the feathery wave and embed this delicate pattern and accessory into your outfits. Though some might be reluctant to sport these, with a few guidelines and some elbow grease you'll become the wizard of latest fashion trend on the minute. Embellishments take a more out-of-this-world and high brow turn this year and target trends that might need a refined style sense to master. However those who are rookies in the art of matching the various patterns and prints as well as basic outfit item should take a closer look at the tips and tricks below. The feather style trend tips 2010 would provide you with a selection of guidelines to keep in mind before planning your next modish outfit. These pro ideas are some of the basic tools to look foxy and at the same time radiate sophisticated class and style-consciousness. 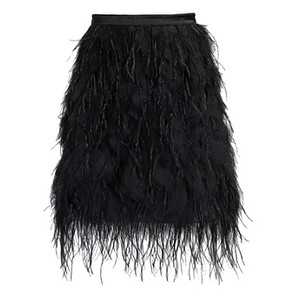 Keep these tips in mind to rock the season's most visionary style trend the feathers. 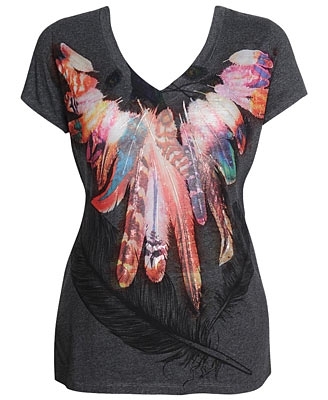 You can choose from the stylish feather details and embellishments as well as prints that would help you rise above the crowd and earn a unique allure. Indeed the most simple way to embed the trend into your stylish outfit repertoire is through the cute and up-to-date t-shirts and tops. These tanks or flowing breezy blouses adopt a more colorful and versatile style due to the combo of the simple tailoring with the complex patterns. In order to make sure you keep the attention on your brand new outfit pieces make sure you complete the look with a plain and print-less pants or skirts style. 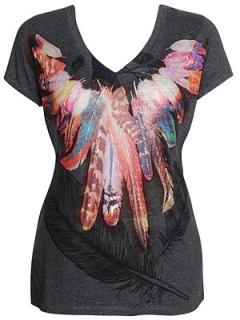 This trick would preserve the special and outstanding flair of your feather-printed or embellished top. Additionally for a more feminine look crown your appearance with comfy heels. However if you are keen to dress down the prominence of the bright patterns choose sandals and flats for a chic casual wear. Similarly to the case of tops you have the chance to choose from the various tailoring designs as well as fabrics and colors. 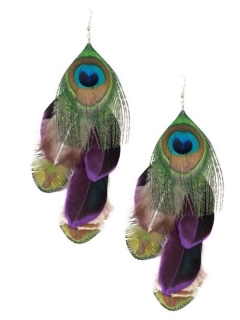 Those who would like to skip the real feather embellishments might just rely on the visual effect of prints that come also in endless exquisite designs that imitate the real life version of these accessories. Both casual as well as cocktail and even formal dresses and skirts look stunning when decorated with these fab prints. 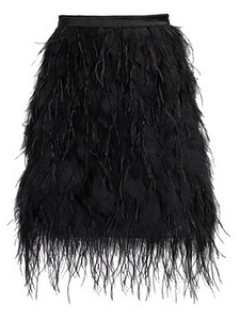 Opt for the voluminous and heavy-feathered skirts and dresses if you are keen to add some curves to your silhouette. On the contrary as these are the main means to enhance our figure with volume and prominent dimensions those who struggle with extra-pounds might still stick to the light- and partial feathered sections as well as the amazing prints. This way you'll be able to preserve the soft and alluring flair of your outfits and also show off your style-trotter ambitions and fashion skills. Both the vibrating and bright colored dresses as well as the neutral and more restricted color palette would serve as the best means to break the monotony of your wardrobe. Keep these at hand for special events as well as the sporty chic pieces for a day spent with your friends. 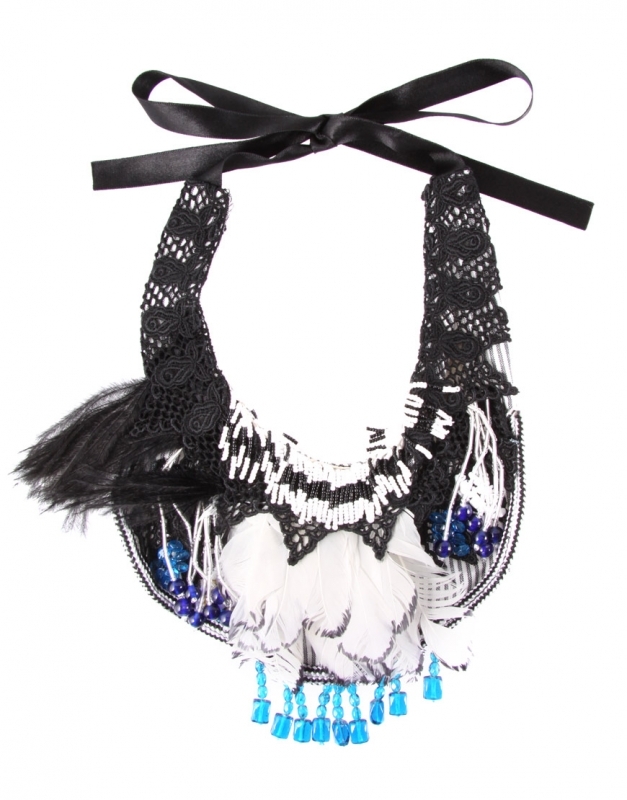 It would be almost impossible to line up all the accessories that are decorated and upgraded with feather details. 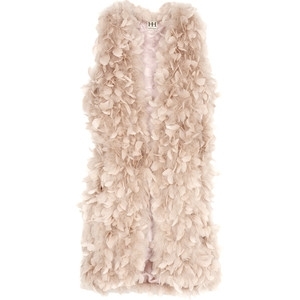 Therefore it is wise to skim through these cute and voguish example that would offer you an insight into the wide selection of must have wardrobe staples that should also adapt to the latest feather print and embellishment style trend. Handbags and clutches are all some of the most visible and eye-catching details that have a great and outstanding impact on your outfit. 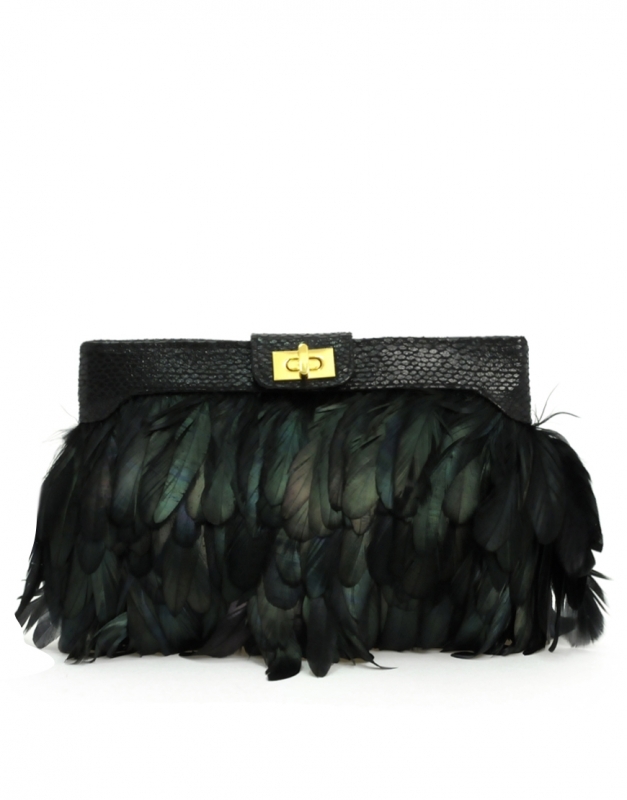 Mono-colored outfits as well as the darker shades and even white can be easily jazzed up with a stylish feathery bag. 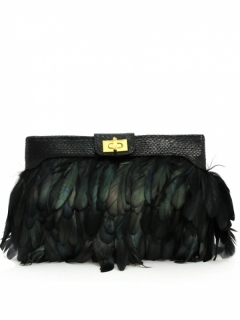 Therefore by all means include this style into the parade of your stylish handbags. Hair accessories are also A-list accessories this season both to prevent your hair from various enemies as well as to top your look with a cute and youthful detail. Boho style headbands would echo the breezy vibe of the hot season as well as that of the popular and beloved Bohemian chic trend. Find the design that fulfills your criteria of the perfect accessory and sport some of the peacock feather chic headbands and hair clips with great confidence. Jewelry is also important when it comes of both formal as well as casual looks. Summer and also the rainy season is about flashing your style sense. 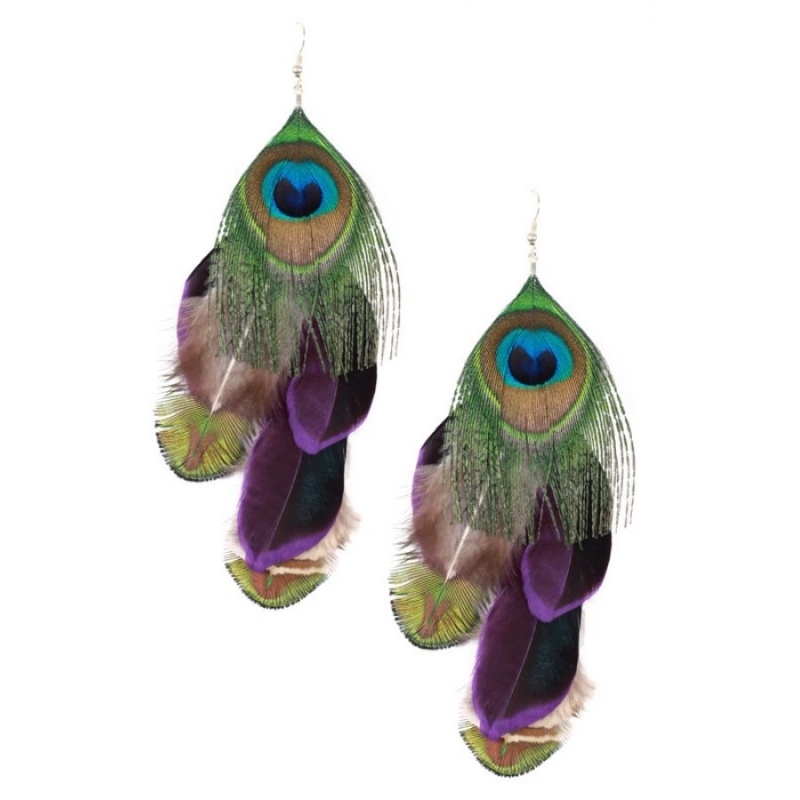 Therefore complete your jewelry kit with the feather earrings as well as cutting edge statement necklaces that would definitely make a real fashion statement when pierced into your outfit.